You're the kind of person who has learned about the most important aspects of a life that leaves you feeling fulfilled. You've discovered that focusing on failure does you no good. You've found that letting anger overcome you is a waste of time. You've chosen to live a life of love and laughter while making memories that will last forever. That's how we all should spend our days in this world. 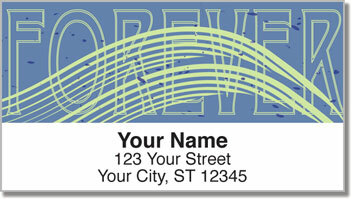 These attractive return address labels will let you spend more time living life by eliminating the need to scribble out your return address on every envelope. 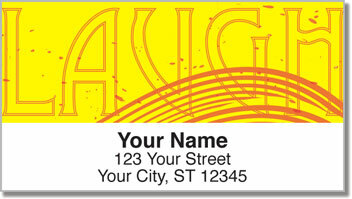 Just use these colorful mailing labels with a self-adhesive backing to make the job extra easy. 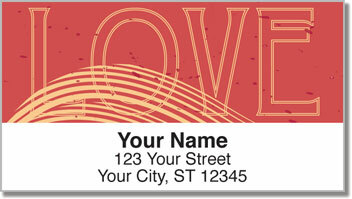 Plus, you'll be sending a little inspiration to everyone on your mailing list. 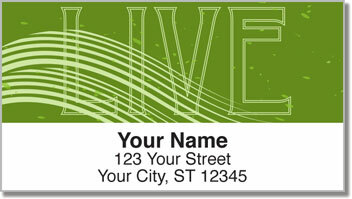 Order your very own Living Life Address Labels today! Get them with a set of matching personal checks.